The Microsoft Surface Go is a budget-friendly and smallest member of the popular Surface mobile computer lineup. 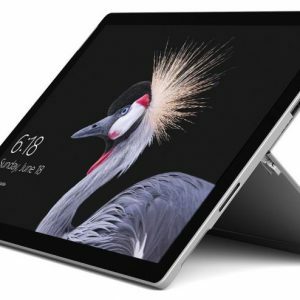 Just like the higher-end Surface Pro, the Surface Go is a tablet with a kickstand on the back, optional attachable keyboard, and optional active pen with pressure sensitivity. But, the 1.15-pound magnesium-clad Surface Go has a smaller 10″ touch-screen and lower-end internal components. The Go features sharp 1800×1200 screen resolution and IPS wide viewing angles. The display retains productivity-centric 3:2 aspect ratio of the Surface series, as opposed to usual movie-friendly 16:9. The screen is covered with scratch-resistant Gorilla glass. Inside, the tablet packs Intel’s lower-end Intel Pentium Gold 4415Y dual-core processor with Intel HD 615 integrated graphics. The chip is suitable only for the basic day-to-day computing tasks, such as web browsing, work in Microsoft Office and similar productivity software, media playback, and light gaming. On the positive side, the processor runs cool and doesn’t require a cooling fan, so the tablet is completely silent. The CPU is very power efficient, too. According to Microsoft, the Surface Go can provide up to 9 hours of video playback on a single battery charge. 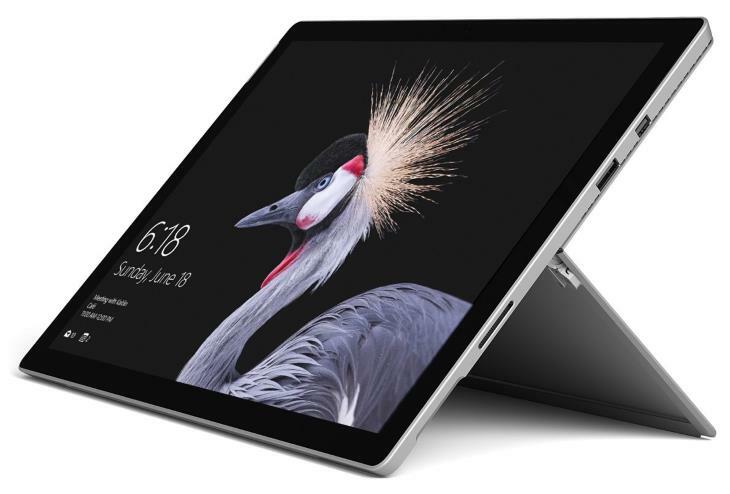 There are two configurations of the Surface Go. The basic 400-dollar one features 4GB of system memory and 64GB of internal eMMC-based storage. These capacities are quite limited by today’s PC standards. The advanced 550-dollar version sports 8GB of RAM for more comfortable multitasking and faster and larger 128GB solid state drive. Other important features of the Microsoft Surface Go are its stereo speakers, dual cameras (5MP front + 8MP back), a face recognition cam for easy Windows Hello log-ins, Wi-Fi and Bluetooth wireless interfaces, a single USB-C port (with video output functionality included), a microSD card slot, and a combo mic / headphones jack. As for software, it’s worth mentioning that the Surface Go comes with Windows S mode activated by default. Windows S provides a more secure computing environment, but also limits software use because you are limited only to built-in Windows apps and those available on Microsoft Store. Thankfully, you can switch out of S mode easily and free of charge, if you want to use full Windows 10 Home operating system with support for traditional Windows programs. 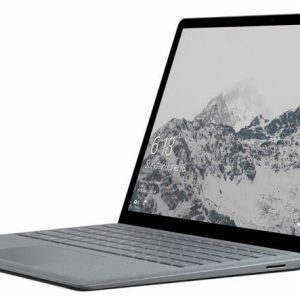 For the latest Black Friday & Cyber Monday Surface Go deals, check out this page. Here's the specs sheet of the Microsoft Surface Go. For comparison against other laptops, use the "Compare Specs" button. "Up to 9 hours of video playback"